Leasing Available from $47.56 per month! Looking for Printek 850 & 852 Parts? 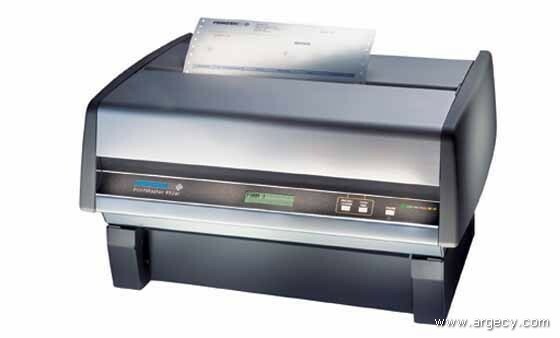 The PrintMaster 850 Series printer is a narrow format dot matrix printer expressly designed for heavy workloads. Flexible paper feeding from the rear or bottom makes the printer ideal for applications where space is at a premium. The printer's high speed, reliable performance and durable construction significantly improve the productivity of narrow format printing applications. The PrintMaster 850 Series has a fast draft of 530 cps and regular draft speed of 400 cps with a paper slew rate up to 12 ips that provides exceptional throughput. A rear feed single tractor is standard. The model 852si has a second bottom-feed tractor, giving you added printing options. A metal pedestal is also available from Printek for effective use of both tractors. All forms are automatically positioned for easy tear-off, thereby saving you time, money and material on all your print jobs. Print jobs can be easily recovered in the event of a fault condition with the PrintMaster 850's page reprint feature. Serial and parallel ports, along with popular emulations and bar codes, are all standard. An optional internal Ethernet interface with unique forms management features is also available. and recalled at any time. Paper is automatically loaded from another tractor if a paper out condition occurs. This feature is only available in model 852si. The PrintMaster 850 Series printer will meet peak printing requirements up to 10,000 pages per month. The printhead carries a two-year limited warranty when Genuine Printek brand ribbons are used. The printer's metal construction helps make it very durable and capable of operating reliably in difficult environments.